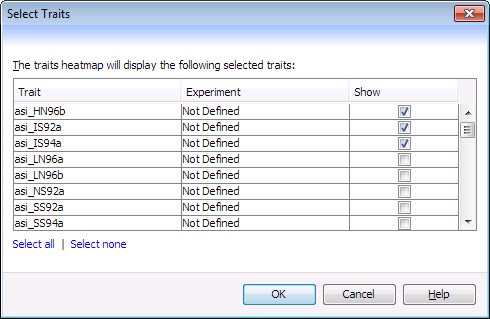 Use the Select Traits dialog (Data->Select traits) to pick which traits should be displayed on the traits heatmap alongside the list of line names. Flapjack can display any number of traits in the heatmap. Each trait that is selected in the table will be made visible.